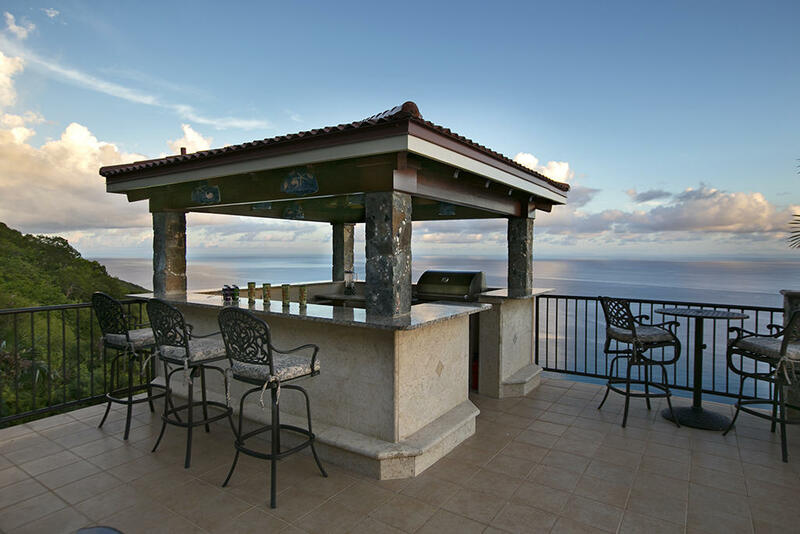 VILLA TESORI is a meticulously maintained custom 5 BR & 5 1/2 bath masonry & stone villa that exudes 5 STAR turn-key luxury at its finest. 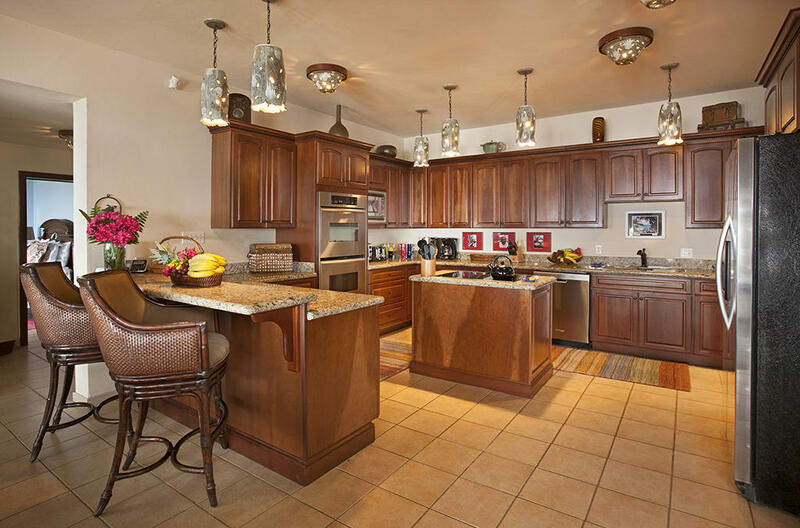 Inspired by British Colonial design, the amenities include a chef’s kitchen, top-of-line line appliances & fixtures, Italian tile flooring, gorgeous furnishings & decor, fully air-conditioned, interior access to 4 BR suites, plus a lower king suite w/full kitchen, spacious pool deck, gazebo with wet bar & grill station, spa, gated entry, solar net-metering, and a 50KW automatic standby generator. 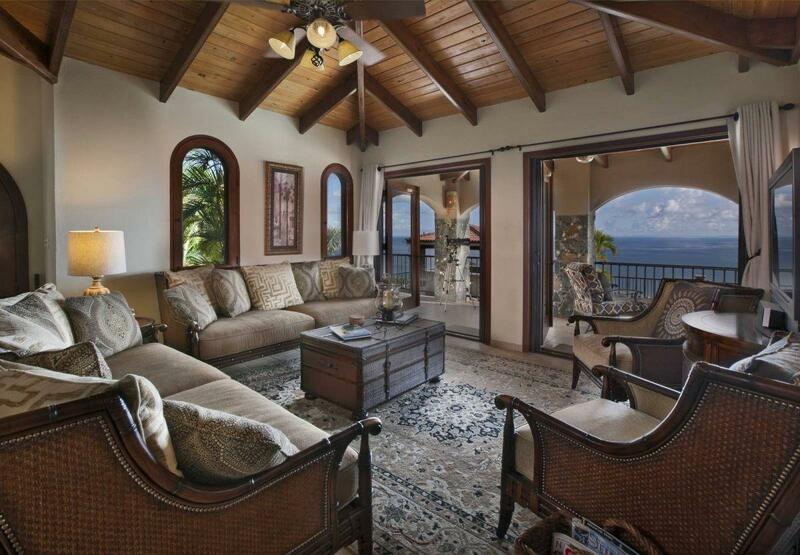 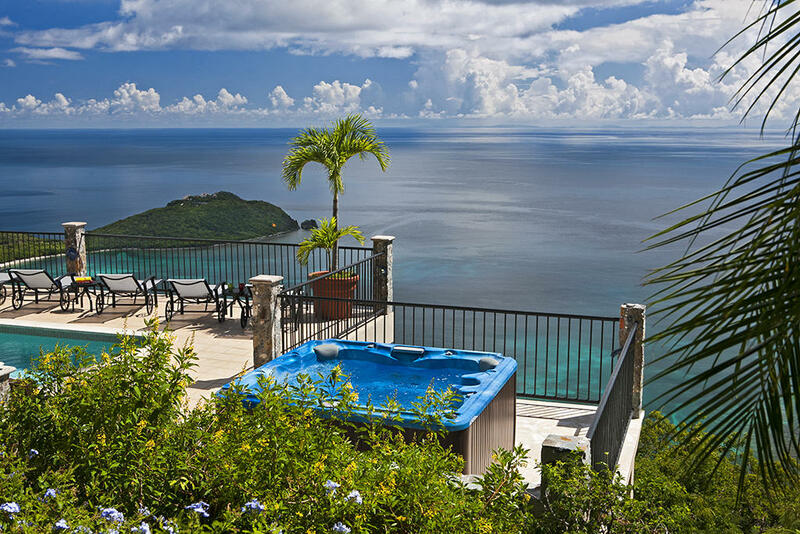 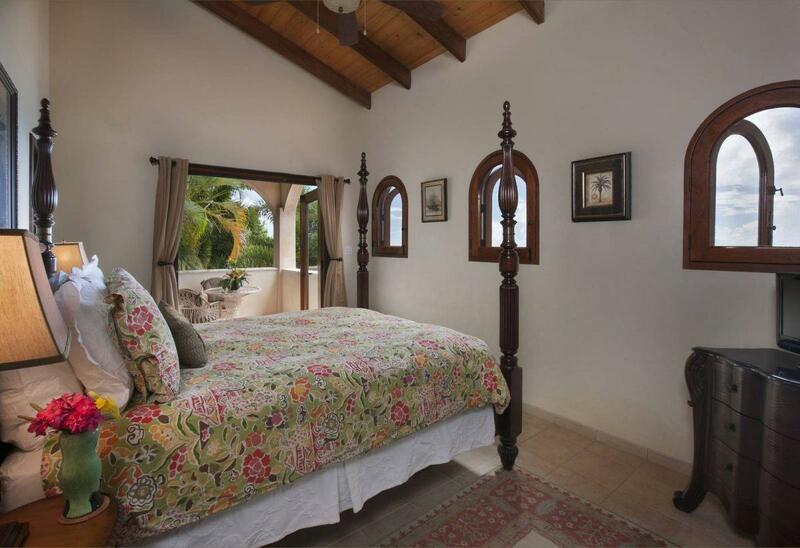 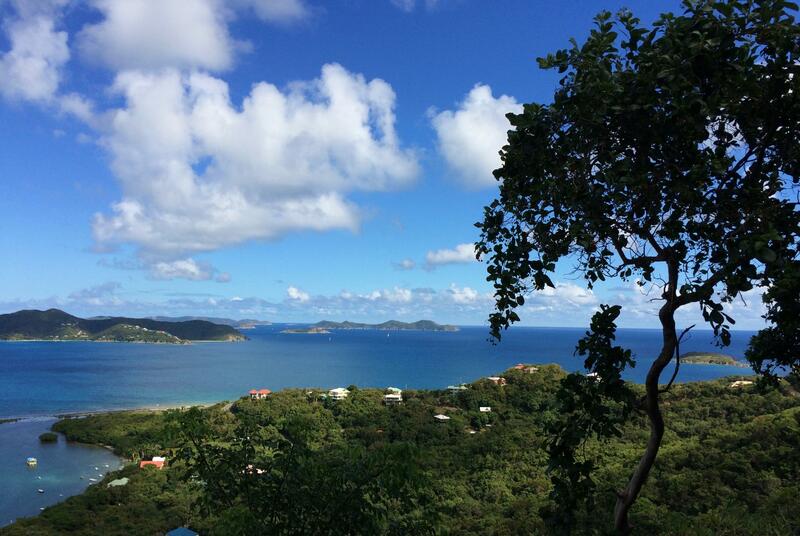 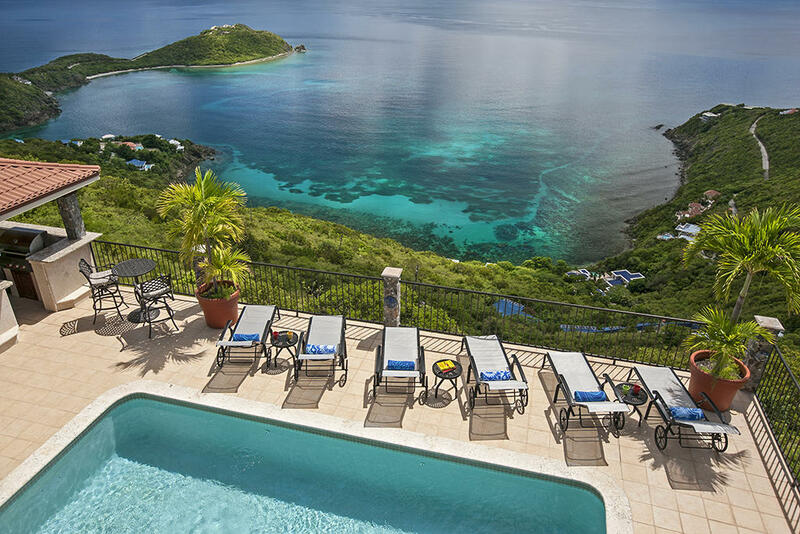 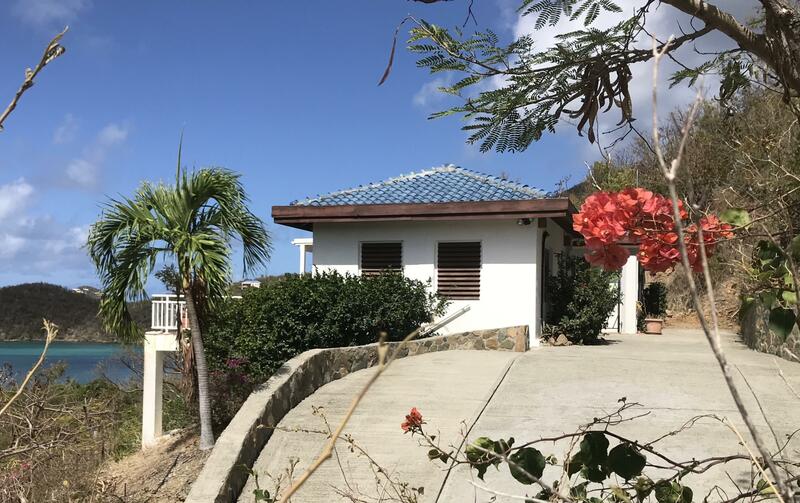 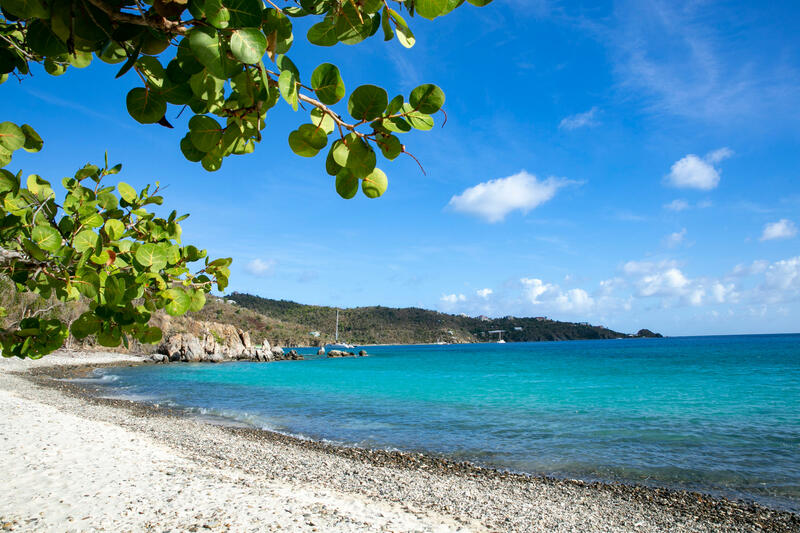 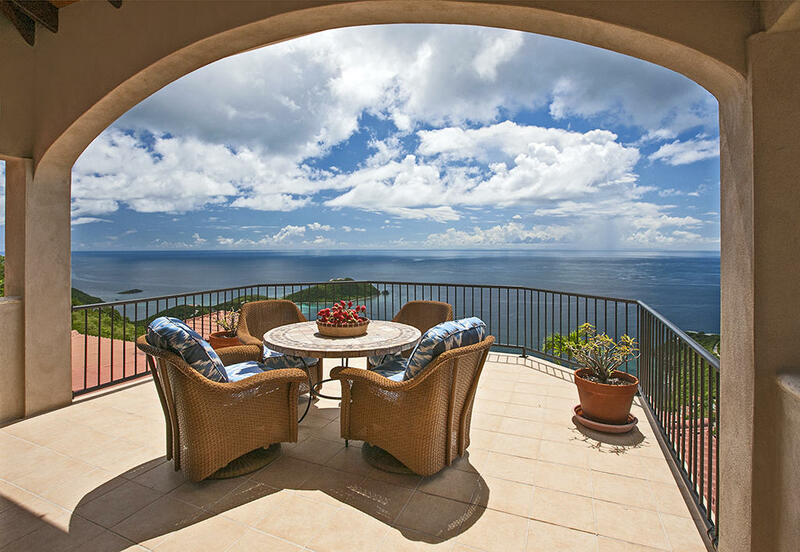 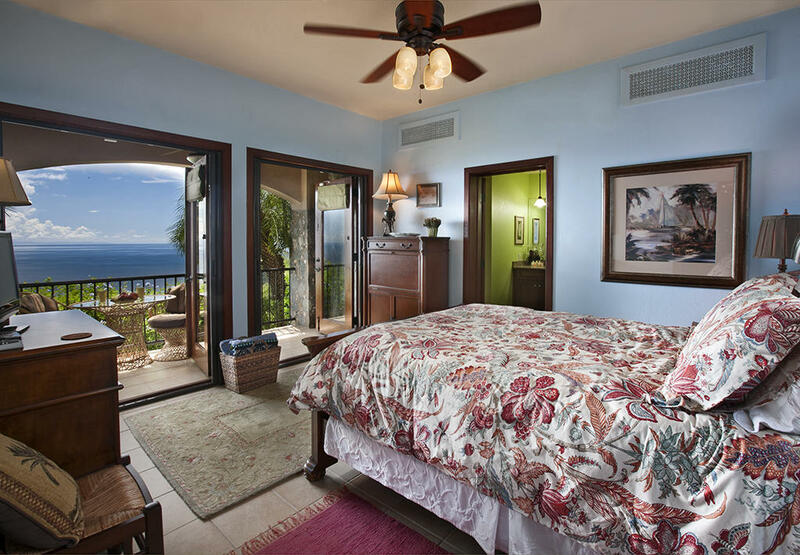 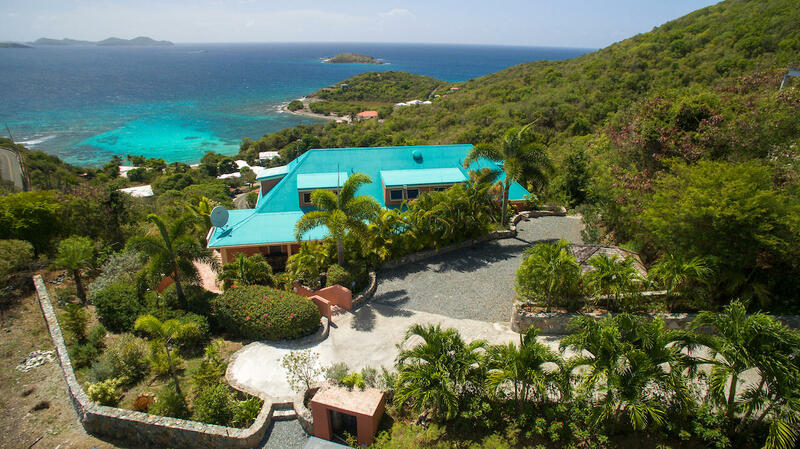 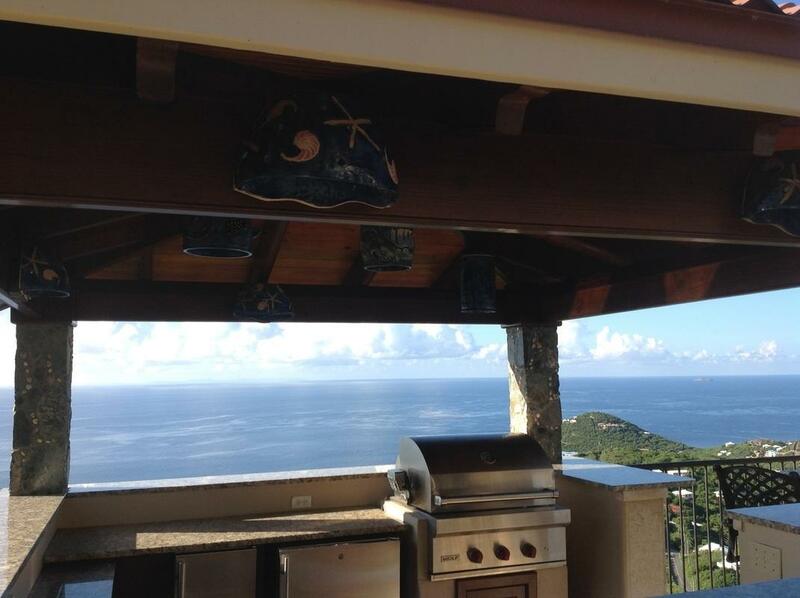 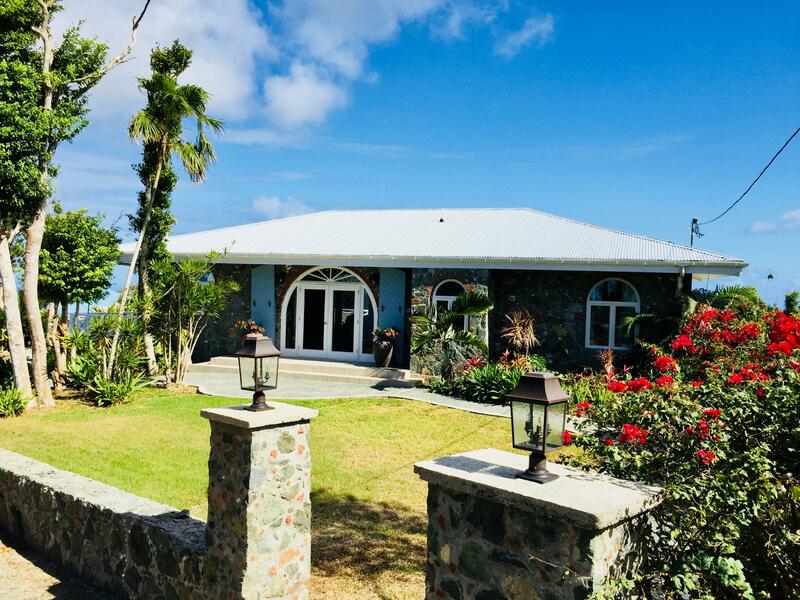 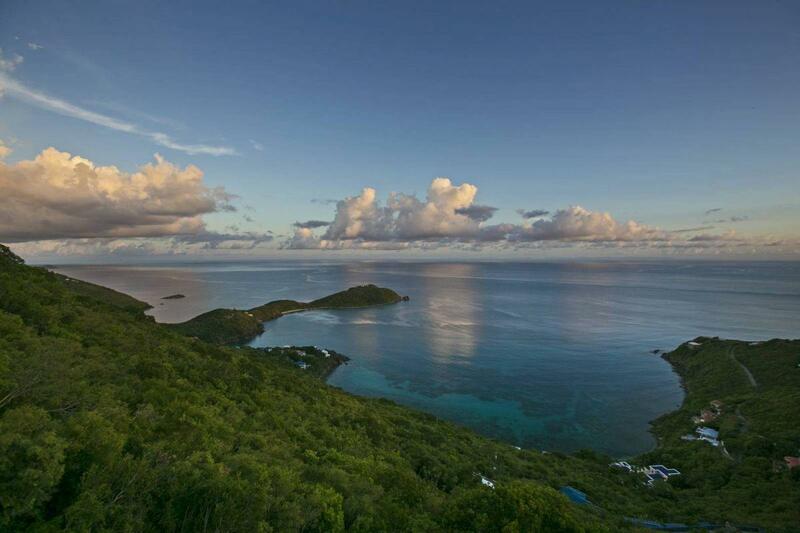 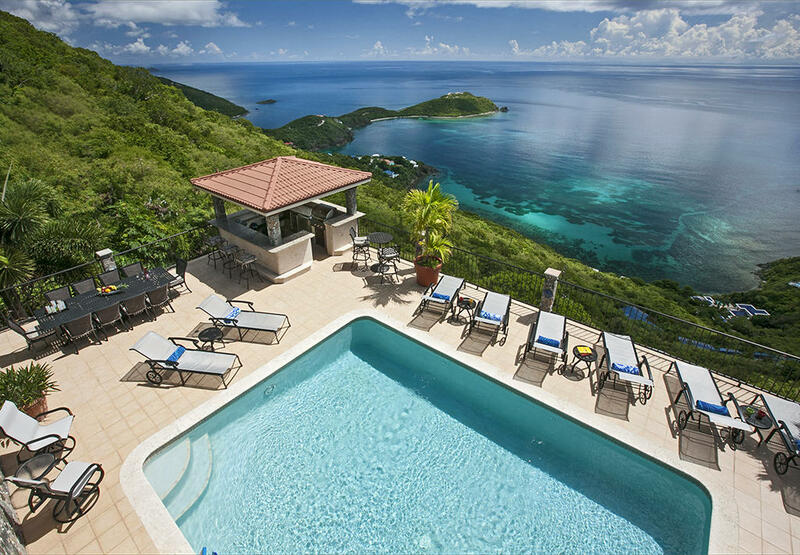 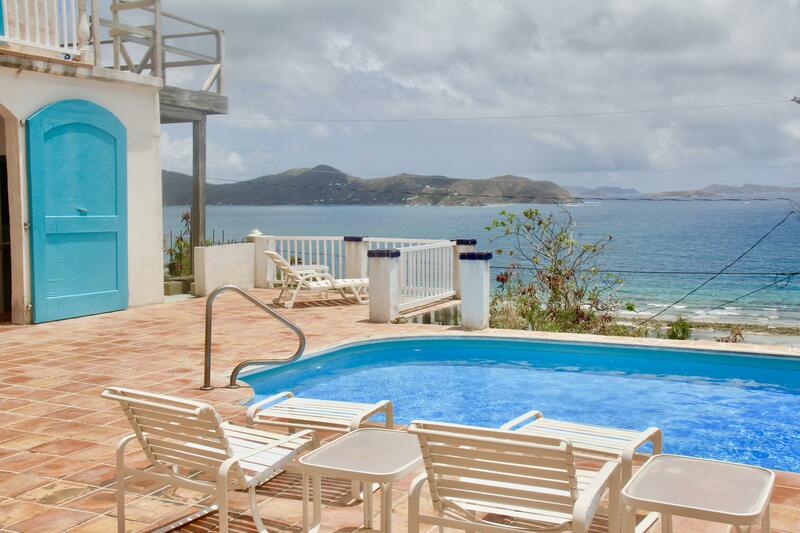 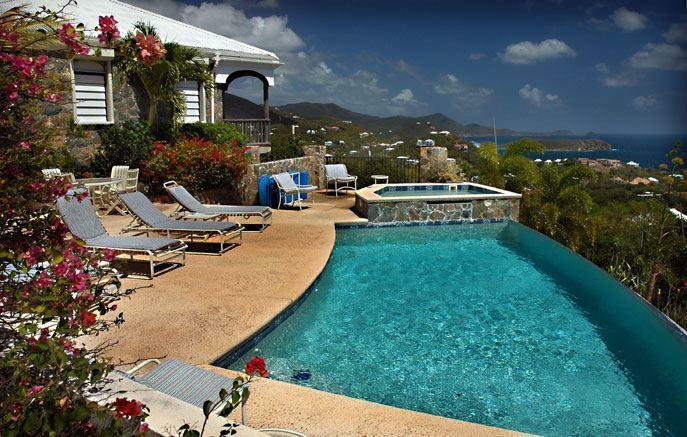 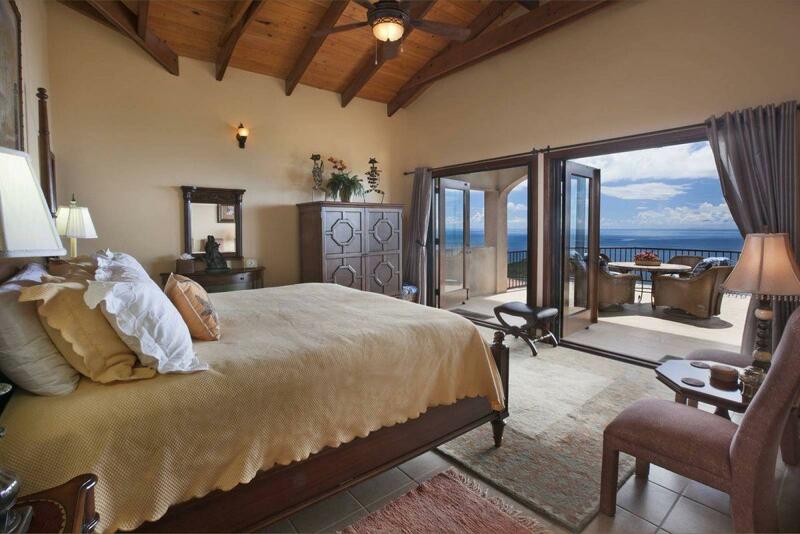 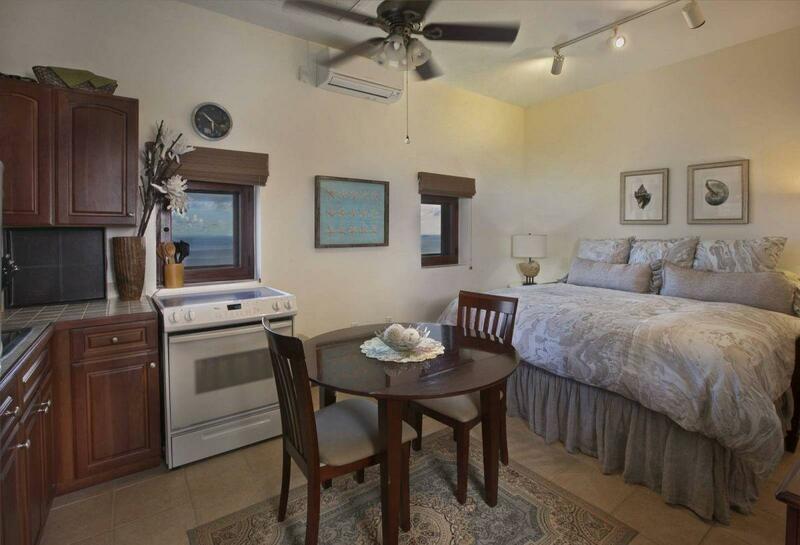 Mesmerizing panoramic views over Rendezvous Bay, the southshore to St. Croix, and sunsets to the west. 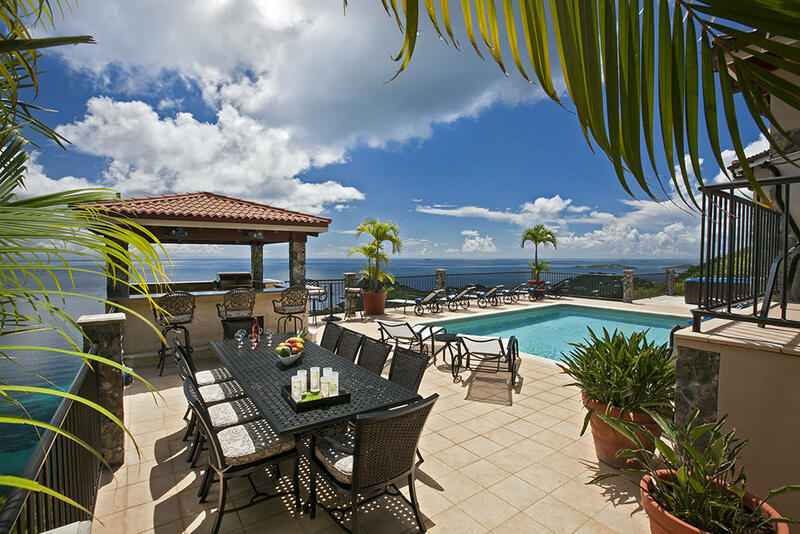 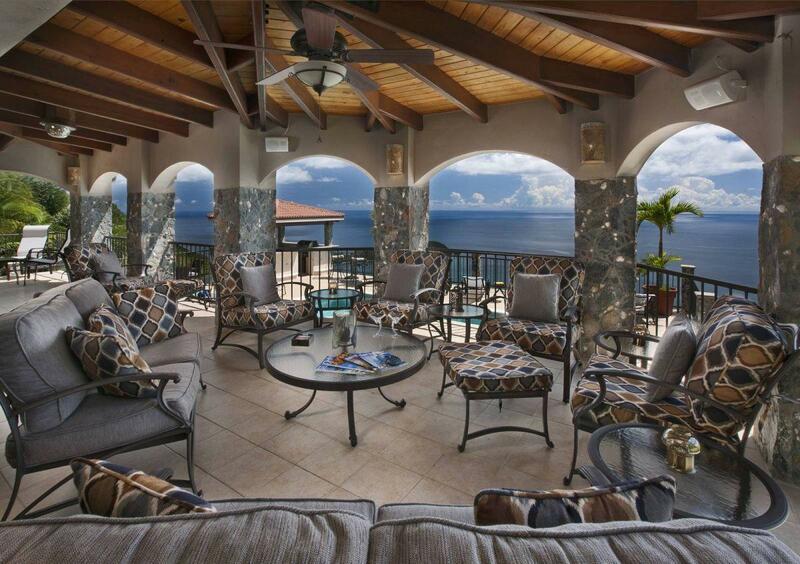 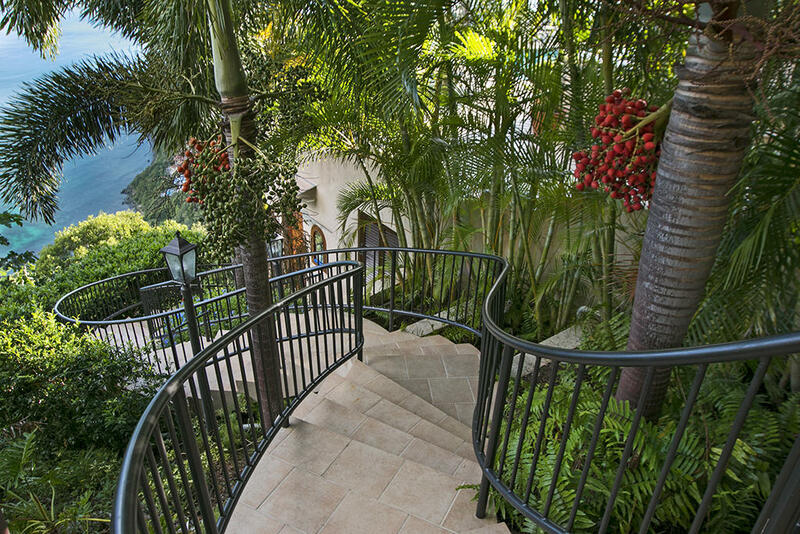 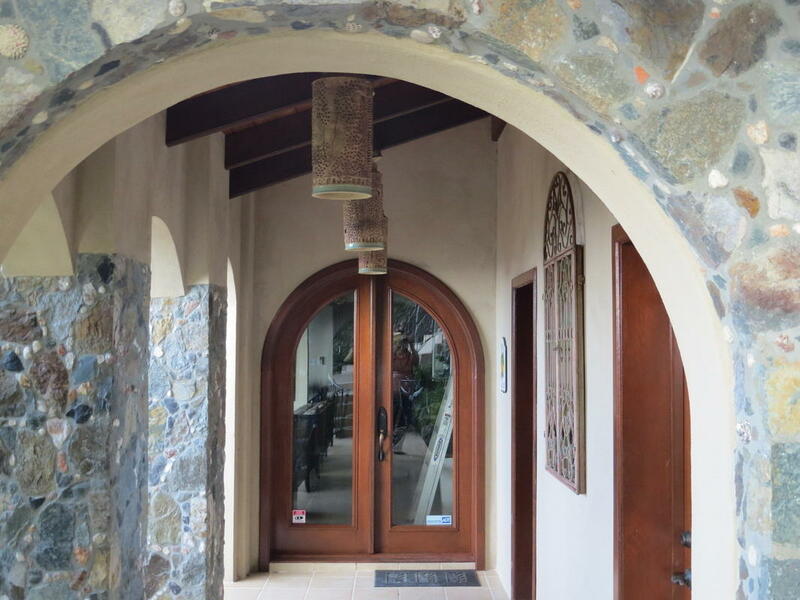 This popular villa generates impressive rental income. 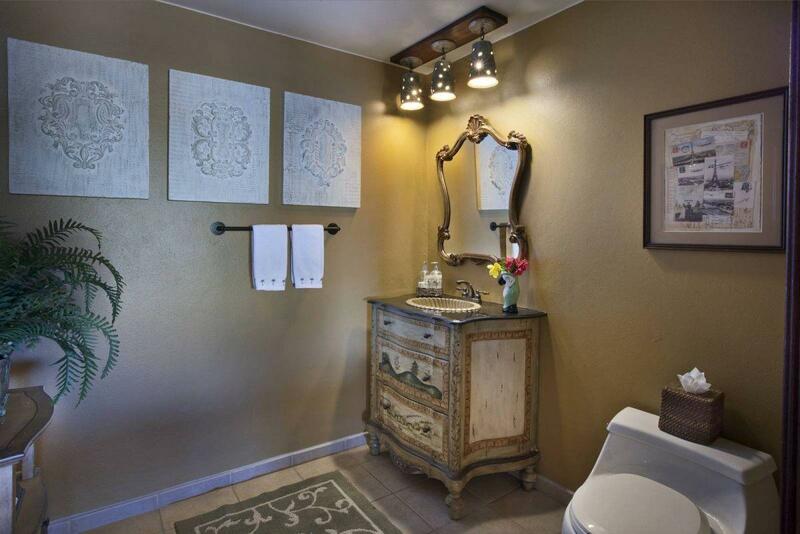 All confirmed rentals must be honored. 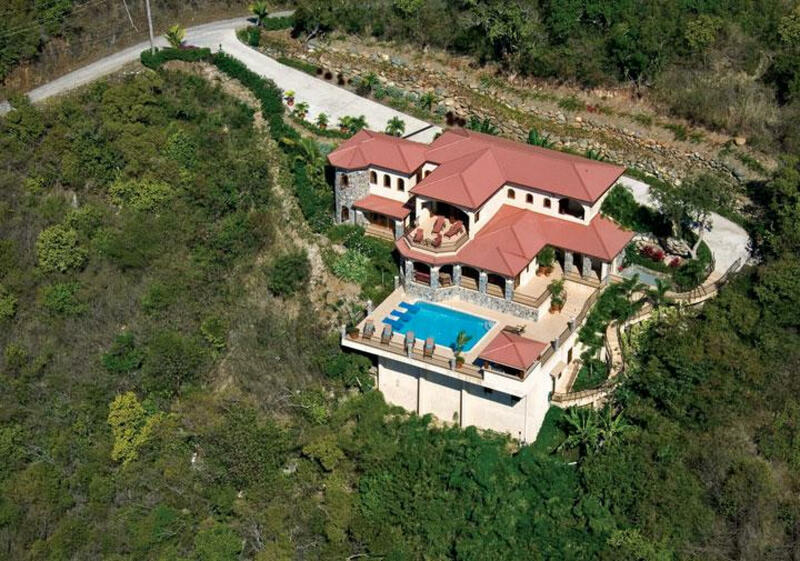 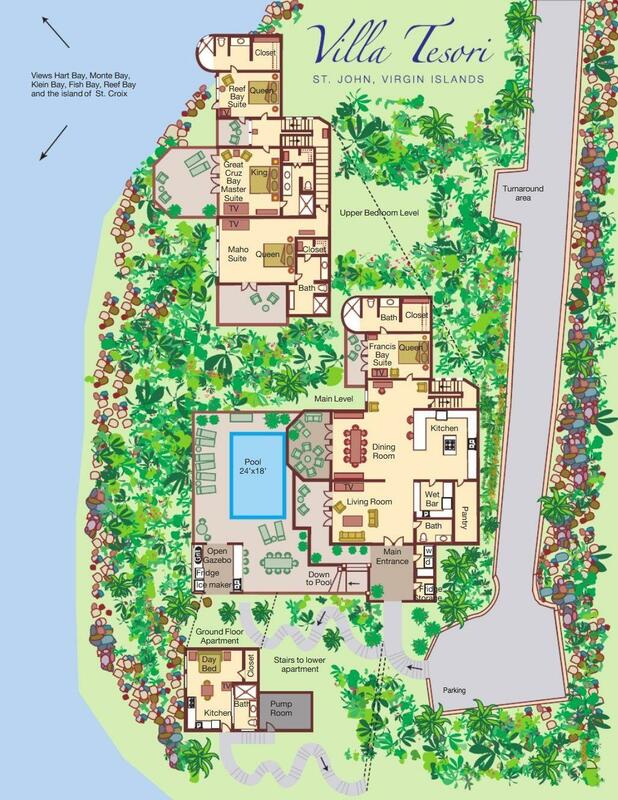 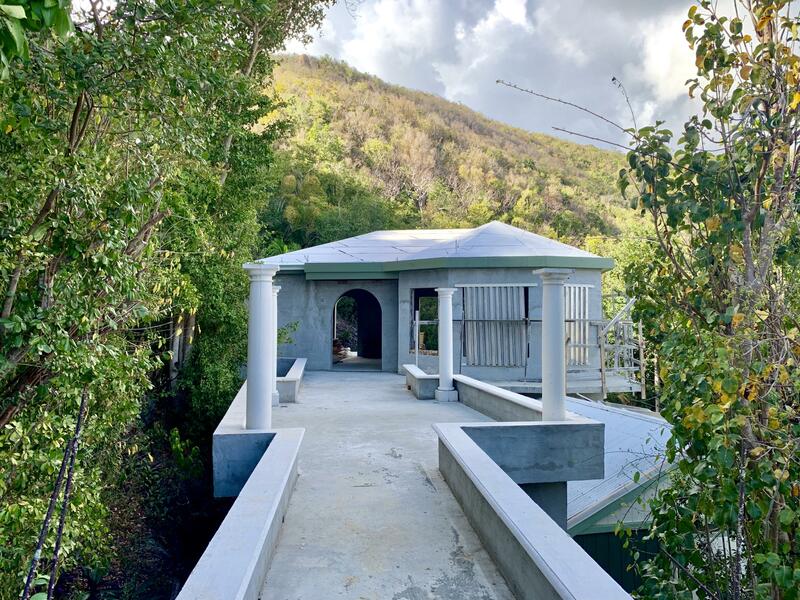 See SUPPLEMENT for more details about this very special villa.